It’s been over 25 years since the Chernobyl disaster, but the effects of it will be felt for our lifetimes. Despite all the media coverage, many of us still don’t know all the facts about that fatal day. Here are 10 details you may not have learned about. All four Chernobyl reactors were cooled by water, and in the case of losing this coolant it overheated instead of shutting itself down. This faulty and unstable design, coupled with a human factor of bad technical judgment and speedy decisions made by engineers, led to the explosion in the fourth reactor. Prompted by a desire to experiment with a turbine generator’s ability to pump water in an inert state, reactor engineers increased the power of the generator while severely decreasing most of the safety measures. A state of no control followed, a reaction was poisoned, water boiled, and the emergency cooling system was purposefully shut down. Finally realizing the critical conditions, operators took measures to reduce the reactivity by using graphite control rods. It was a deadly mistake, as graphite only increased the reaction by displacing water from the rod channels. In the early morning of April 26, 1986, the fourth reactor exploded. In the early hours of that spring day, all hell broke loose and hundreds of firefighters were attempting to stop the generator fire. Approximately 300 tonnes of water pumped every hour into the remaining part of the generator, which was damaged beyond repair. According to the World Nuclear Association, they stopped after half a day due to the danger of flooding reactors one and two. In the following days the exploded reactor was still burning, so about 5000 tonnes of boron, clay, sand, dolomite and lead were poured over it by helicopters in an effort to stop the fires and cover the radioactive elements. It took the Soviet government a full day to realize the scale of the accident and its consequences. Only after that was the full evacuation of Pripyat and many more villages and small towns in the region ordered. Hundreds of thousands of people were hastily evacuated and later relocated, but for many it was too late. About 28 people who fought the fire and an initial radiation spread died during the first month following the explosion. While the rushed evacuation of the local population was underway, a spike in radiation was noticed in some European countries. The official news went public only two days after the tragedy. As dangerous fumes were leaking into the atmosphere and water for two more weeks, Ukraine, Belarus, and a few parts of Russia were majorly affected. Radiation, however, touched many other countries of Europe. A nuclear cloud was dispersed over Finland, Sweden, and other territories. In fact, it reached as far as the British Islands. Radiation is a quick menace that embeds itself deep in a victim’s body. While initially killing less than a hundred individuals, the radioactive cloud spread across large territories over time. In fact, the amount of radiation was many times higher than the radiation released after the atomic bombing of Hiroshima and Nagasaki, and an echo is still heard in cancer cases in Belarus and Ukraine. Southern Belarus suffered the biggest burden, as many children suffered from thyroid cancer linked to the cesium radiation. According to the United States Nuclear Regulatory Commission, children in 1986 were drinking milk from cows contaminated with a radioactive iodine and were therefore receiving a very high amount of it to their thyroid glands. Approximately 6000 thyroid cancer cases were diagnosed among the youngsters. There is no proof, however, that the Chernobyl explosion is connected to other types of cancers in the region, such as leukemia. Over a hundred thousand locals were relocated right after the accident, with thousands more to follow. However, about 1200 people, most of them older women, decided to stay or run back home. What motivated them? During interviews, most spoke about their love of their native land. According to CNN, these women illegally returned to their failing cottages because they received only meager financial support from local authorities and simply needed their land to survive against starvation. Some of them were allowed to stay, half-illegally, because they were past childbearing age. Surprisingly, not only did they survive the long aftermath of the accident, but they’re still alive today in their 80s or even 90s. Many of us mistakenly think that the Chernobyl plant was shut down for good right after the explosion. However, that’s not the case. According to the United States Nuclear Regulatory Commission, the other three reactors were soon restarted. They became fully functional again between October 1986 and December 1987. Reactor number two suffered a turbine building fire and was closed in 1991. Number one was shut down in November of 1996 and the last reactor, number three, was finally stopped in December 1999. In 1986 the Cold War was still silently raging on the land where Chernobyl stands. It’s no surprise that it was carefully guarded. However, it wasn’t the only protected facility in the region. There was and still is a secret missile radar built in the ’70s about 25 miles from Chernobyl that’s now part of the exclusion zone. 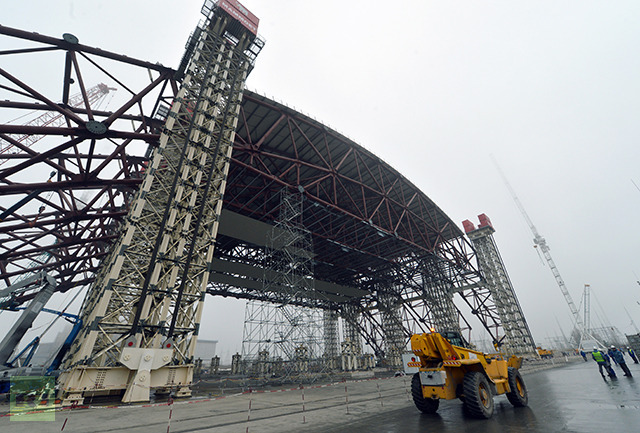 According to the newspaper English Russia, it was called both Chernobyl-2 and Duga-1 and wasn’t shown on any official map. Its intention was to detect missiles being launched from as far away as the United States. Civilians were prohibited to approach within a few miles, and about 1000 soldiers and officers who worked there lived in a tiny town with a single street called Kurchatov Street. All of them and their families were immediately evacuated after the disaster, but the station remained standing tall. 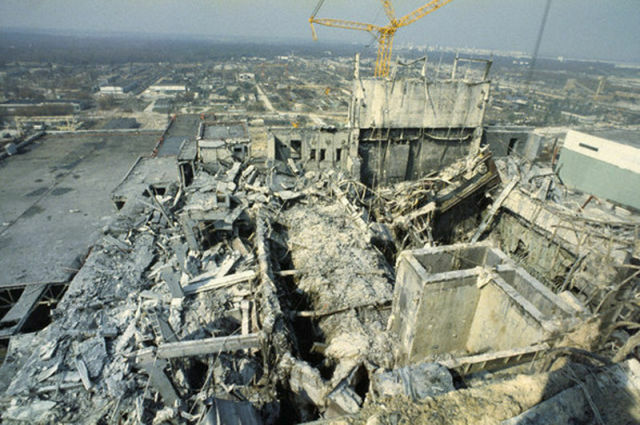 The structure was initially ordered demolished, but the plans were rescinded under concerns that the tremors would damage the Chernobyl sarcophagus. Secret and mysterious locations always attract people for various reasons. For some, Chernobyl is place of scientific exploration, while for others it’s a curiosity to tell others about. It’s also a place to make money. There are a few companies that provide tourist services to people wanting to experience the spooky abandoned town of Pripyat or glimpse Chernobyl itself. 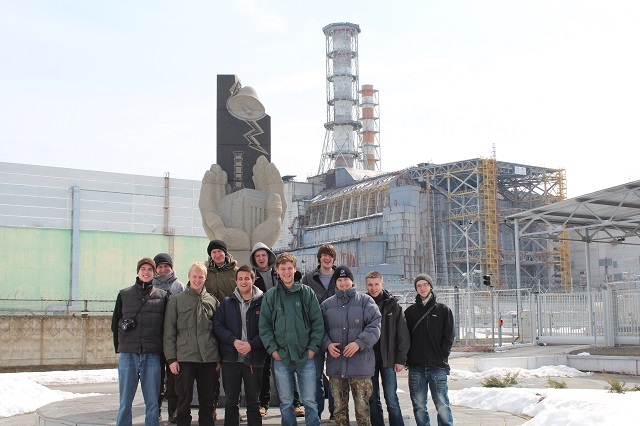 The Chernobyl Tour, one of the official companies, reports that one day visits don’t cause any harm to your health. You might even be able to visit that radar station. When the first sarcophagus was built in 1986, it was constructed hastily and in harsh conditions. Not surprisingly, it’s ready to crumble and let out all the contamination again. The construction of a new shell is therefore well underway and is due to be completed in 2016. The new structure is being built alongside the plant and will be relocated by rails to allow the deconstruction of the old shield. According to the World Nuclear Association, it will be an arch 354 feet high and 492 feet long, and will cost about 1.54 billion Euros. 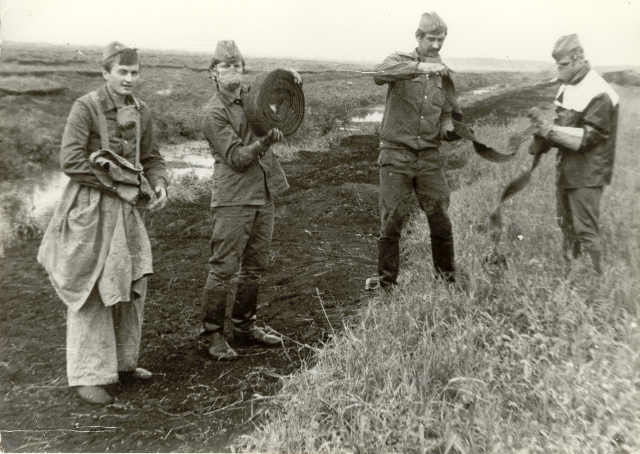 While countless birds and animals were initially killed by the radiation, current living conditions for wild animals in the exclusion zone are not so conclusive. While there are fewer species of birds and some present have been severely physically affected (smaller brains and deformed beaks) some other species are actually thriving. With no humans around, Pripyat became a haven for wolves, beavers, and other animals looking to make a home in the ghost town. Chernobyl was one of the most memorable disasters of the 20th century. Read about more devastating nuclear incidents here. Or, if the fact that you can tour Chernobyl jumped out at you, read up on some other weird forms of tourism. Another fact about Chernobyl and its aftermath, which is almost never mentioned in the media, is that since the disaster in 1989 more than 25.000 Ukrainian children, who became a victim, have been treated for free (!) by the Cuban Government. This free-treatment-plus-a-holiday program has continued even during the break-up of the former Soviet Union and the years of economic hardship in Cuba during the 1990-ties. Never knew people chose to return. Some really interesting facts. Thanks.